We’d love your help. Let us know what’s wrong with this preview of Silo Secrets by Patrice Fitzgerald. Daniel is sixteen now, and he can count up to one hundred. He can go all by himself up and down the two levels of the Silo between his home and his job. Daniel knows he's not as smart as some people. But his mother told him he was smart enough to help her, so it must be true. He always believes his mother. His mother is a doctor. He likes going to work and helping his mom. Daniel is sixteen now, and he can count up to one hundred. He can go all by himself up and down the two levels of the Silo between his home and his job. He likes going to work and helping his mom. Best of all, Daniel likes it when somebody wins the lottery and a new little baby is born. To ask other readers questions about Silo Secrets, please sign up. 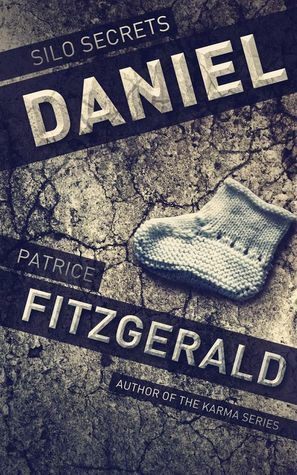 In Silo Secrets: Daniel, Patrice Fitzgerald manages to tell a story that is heartfelt, heartbreaking, caring, disturbing, exciting and sad all at once. The fact that she expertly crams all of those feelings and emotions in so few words is a testament to her writing ability. In the story, Daniel is the son of Dr. Randall. We don't ever find out exactly what disability he was born with, but it is made clear that at the end of his adolescence, Daniel was as far along mentally as he ever would be. A In Silo Secrets: Daniel, Patrice Fitzgerald manages to tell a story that is heartfelt, heartbreaking, caring, disturbing, exciting and sad all at once. The fact that she expertly crams all of those feelings and emotions in so few words is a testament to her writing ability. In the story, Daniel is the son of Dr. Randall. We don't ever find out exactly what disability he was born with, but it is made clear that at the end of his adolescence, Daniel was as far along mentally as he ever would be. A patient comes in to deliver a baby and we first know that Daniel can't handle the tasks required to be a "normal" resident of the silo. At times while reading, I was reminded of "Flowers for Algernon" in a literary sense for the perspective of Daniel and while the ending is definitely different, there are some parallels between the two. I was also reminded of contemporary situations where we place mentally disabled adults and the Constitutional rights that are sometimes afforded them (and sometimes not). It was a very short story, I read it in one sitting. Being set in the WOOL universe, this is one of the best short stories I have read recently. Well worth the $1.99 price tag on Amazon. Give this one a try and you won't be disappointed. Love this little story. Makes me want more stories about the ever day lives of a silo. It reminds me of how those with different needs are still often treated in society today. I loved the story, a new take on life in a silo. If you like the silo stories I recommend it. Patrice was brave & brought my reality, having children with Down syndrome, into the Silo value system. Great job! Patrice Fitzgerald has had many incarnations, including lawyer, writer, publisher, singer, mother, wife, and redhead… though not necessarily in that order. Be on the lookout for more of he Patrice Fitzgerald has had many incarnations, including lawyer, writer, publisher, singer, mother, wife, and redhead… though not necessarily in that order. Be on the lookout for more of her Silo stories, both via Kindle Worlds and KDP. Patrice's entire Karma collection will be available as one big book, electronically and in print, by December of 2013. Her feverish imagination is concocting still more dystopian worlds and after that, a cozy mystery series. She also writes a funny chick-lit series, about the trials and tribulations of dating, under a nom de plume. Her first published novel was the tightly plotted and fast-paced thriller RUNNING, about two women vying for the U.S. presidency, which became a Kindle bestseller in political fiction. She also writes quirky short stories such as Till Death Do Us Part and Looking for Lance. Her stories have appeared in a number of anthologies. Before becoming a writer, Patrice practiced intellectual property law for fifteen years. She is the founder and CEO of a tiny indie press, eFitzgerald Publishing, and is also a professional mezzo-soprano who sings in styles ranging from opera and Broadway to jazz. Patrice is the mother of four adult children. She lives in Connecticut on the water with her wonderful husband and is amazed and grateful to be making a living as a writer.